Custom bikes, we love ‘em. Nothing like making your form of transport entirely your own, standing out from the crowd. But honestly, in our ultrafast modern world, who has time to sink hours into making their bike perfect? Well, luckily some manufacturers know the struggle is real, and are happy to make their own custom machines for the select few. Join Bikesure, the free-wheeling insurance broker, as we go window shopping for some of the best factory customs. There’s a pretty fine line between factory customs, limited editions and homologation specials that bike manufacturers are required to sell to qualify for some race series. We’re going to be scribbling all over that line in order to cherry pick the very best. We’re also going to try to make CusFac a thing. It’s a newly invented portmanteau, reminiscent of cosplay, which makes talking about factory customs slightly more fun and slightly faster. CusFac: Go on, try it out, give it a test drive. Yeah, it feels natural doesn’t it? That’s what they’re called now. CusFac. You’re welcome. The big enchilada of motorcycles was quick to leap onto the CusFac bandwagon, and has shown no sign of diminishing – at least until President Trump manages to destroy them of course. Their factory customs are expensive but almost certainly worth it. 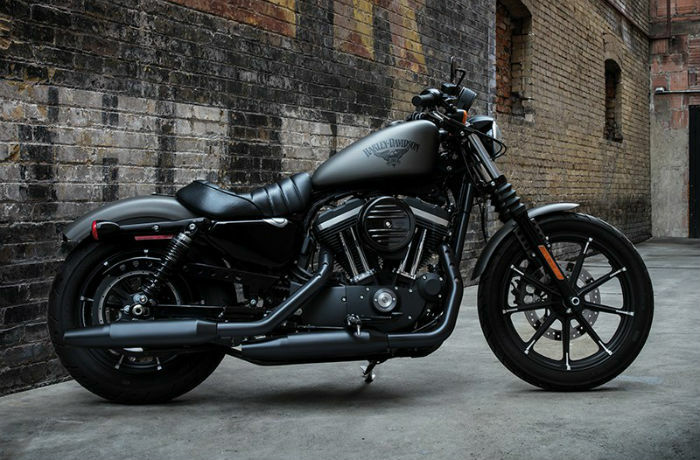 In fact Harley has taken the custom world to its heart, offering a comprehensive range of customisation options for the range. 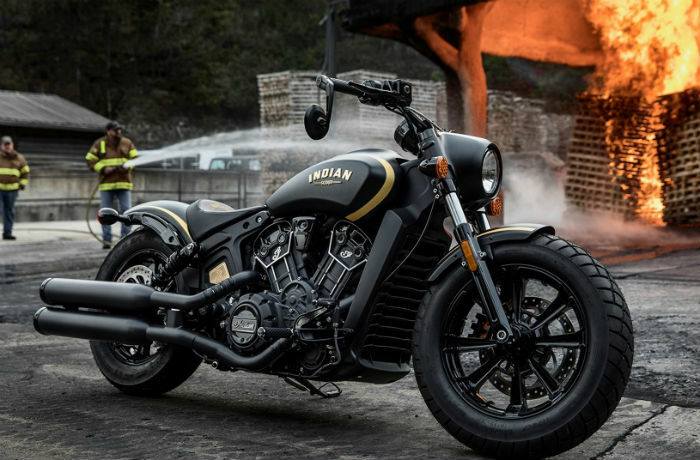 So you could certainly say that the entire Harley range is built around different custom bikes, and indeed we just did because we’re clever and cool. The most Cus of the current CusFac families is the Dark Custom range, which is the purest expression of a corporate mid-life crisis yet made. Still, the bikes themselves are rather lush. The Iron 1200 has some pretty sweet seventies style tank art, because that’s the decade that hits the nostalgia buttons for the majority of Harley’s prospective owners. The other bike they’re pushing currently is the Forty Eight, which is their re-jigged bobber. Harley’s other main CusFac family is its CVO range, or Custom Vehicle Operations. These are big, luxurious versions of their tourers, with more powerful engines than the standard versions, a powerful computer entertainment console, exclusive paint jobs and a generally slightly higher spec than the already highly specc’d machines. If you’ve got over £32k just sitting around and you don’t have an idea about how to spend it, then the CVO range is certainly one of the things you could buy. Let’s look at what’s available for non-Harley fans. 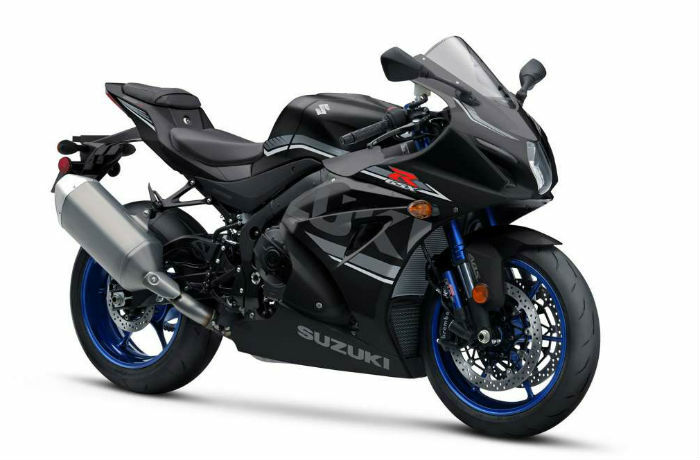 Firstly, we have the Suzuki GSX-R1000R Buildbase edition. You’ll almost certainly have to get in early if you want one of the 50 machines they’re making if they haven’t already sold out, which is a real possibility. Unlike the Harleys it’s very much built for speed rather than comfort. Its limited features includes more aerodynamic bodywork, which is all designed for squeezing as much speed as possible out of a machine that started off pretty dang fast as it is. The thing with any of these CusFac (yes, it already feels natural doesn’t it? You can’t remember the pre-CusFac phase of your life at all now, can you?) limited editions is that you really have to act fast to get ‘em. The Royal Enfield Pegasus limited edition managed to sell out its pre-order allocation in 178 seconds, so you’ll need the nerve and patience of a hunter and also a pretty rock solid internet connection. 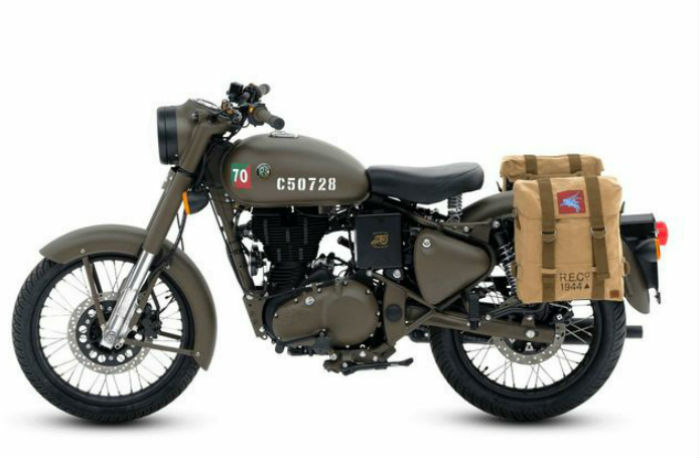 Admittedly something like this is a purely cosmetic choice you’re paying over the odds for, so whether or not olde time army colours are worth £1.5k more than a standard Royal Enfield is a decision only you can make. RE also managed to annoy some of its fans when, just a few weeks after the Pegasus limited edition, they launched a mechanically identical edition but paying tribute to the Indian Armed Forces, for a fraction of the cost. Lol. The Big Y has something for fans of almost all the classic custom styles. For café racers, Yamaha has the XV-950, and the XSR900 Abarth, a collaboration with the Italian racing car manufacturer to create a “neo retro” café racer, the ever popular modern update of the classic bike style. You can even Cus the CusFac further before it leaves the Fac with a comprehensive range of components should the £9,999 price tag not be large enough. Bobber fans are served by the XV 950r, while street scrambler holdouts get the SCR 950. The largest British manufacturer does, naturally, have a great range of its own twists on some of the classic custom styles. 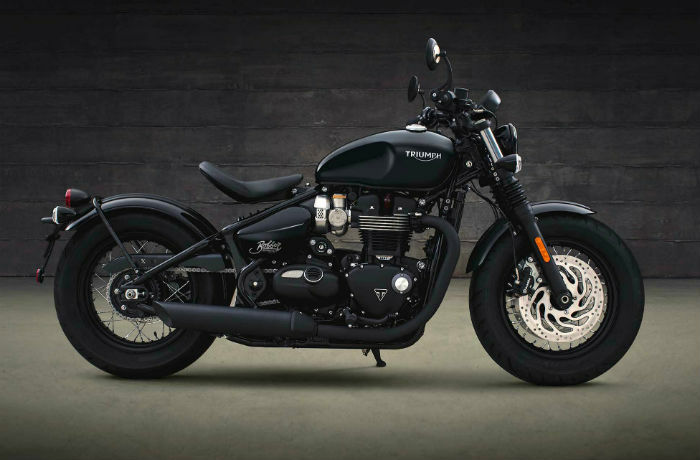 Fans of American customs can chose between the Bonneville bobber and cruiser, while those of a more anglophile persuasion can get in on the Street Cup or the Scrambler. Or indeed any other bike they offer, they all kinda draw influences and inspiration not just from their own history but many other high points in motorcycle design. If you want to get a bit of that Lewis Hamilton swagger you’ve got two options, although to be fair the lifetime of training and the whole living in tax exile in Monaco is basically off the table. But, if you’ve got about £65k knocking around (and who hasn’t) you can at least get the MV Agusta F4 RC LH 44. With presumably £40k worth of improvements over the base model, it has a maximum speed of 187 MPH, a whopping 7MPH more than the one that only costs £20k. These aren’t technically limited editions although that price tag is a limiting factor to most people so let’s not split too many hairs. Of course the F4 will soon be retired, and MV Agusta are planning to see it off with another limited edition, this time paying tribute to Claudio Castiglioni, father of the company’s president. The Panigale V4 is generally considered to be one of the finest bikes in production. 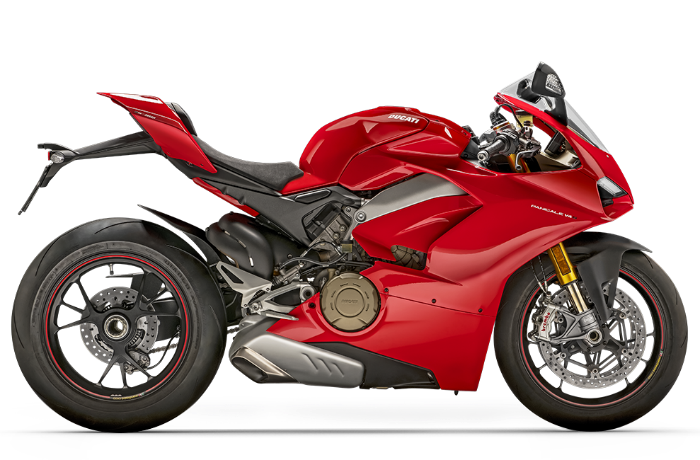 If the standard version isn’t special enough for you, Ducati has prepared the Speciale for your delight and delectation. It’s got various upgraded components, including a titanium exhaust and an engine which uses desmodromic valves – great word, desmodromic, and there’s not too many opportunities to use it so let’s go for the triple. Desmodromic. Classic. Anyway, you can have one of these beauties for about £35k, which now seems like a bargain compared to the MV Agusta. Limited edition wasps? Heck yeah. The scootlords themselves have a rather special limited edition scooter to tempt you, the Sei Giorni, a tribute to the racing tuned scooter that won nine gold medals during the 1950s. It’s obviously got a slightly niche appeal, but if you’re in that niche then you’ll definitely like it. 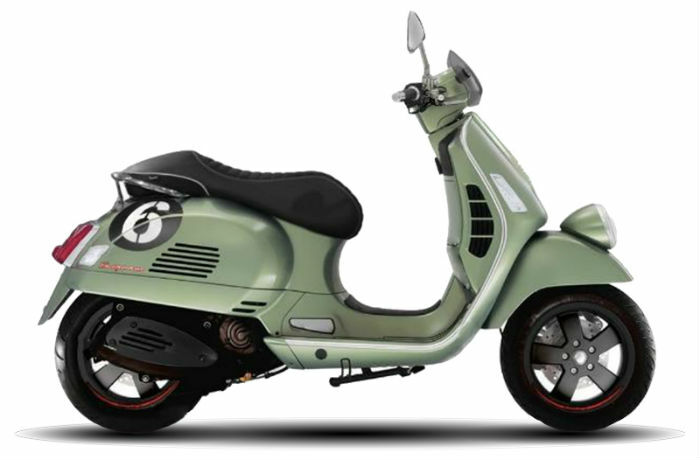 If the Sei Giorni is a bit too special for you, Vespa also have a couple of fairly special editions, which are basically two different slightly exclusive paint jobs, Yacht Club and Vespa Notte. Or: mostly white and mostly black. As we’ve seen with the MV Agusta there’s a certain amount of overlap between limited edition CusFacs and homologation specials. Beemer’s HP4 Race is in the same price bracket as the MV Agusta, so you’re going to need in excess of £68k to get your hands on this race tuned beast. It’s probably not the best thing you can get for just pottering around town, but for the race day fanatics it’s got to be a serious contender for best thing ever. At the more realistic end of the budget scale, Beemer’s frankly insufferably named R nineT range brings the whole modern classic style in spades. It also comes in scrambler, racer and urban variations as well as the Pure model, which is inspired by… motorcycles? How do they come up with these crazy ideas. If you’re after a little Italian style with your American exports then Moto Guzzi’s V9 Bobber is an option, although the copy on its page there describes it as “dark and indomitable as the night” which an actual human wrote with absolutely no sense of irony. C’mon. Anyway, they also offer the California, their luxury cruiser/tourer which is, at least, not trying to be Batman. Obviously every manufacturer has to have a tribute to café racers, and the Z900RS is Kawasaki’s flagship version. It’s a double tribute, as the Z900 is already a tribute to the Z1, which means you’ll be paying tribute to multiple classic bikes with this one. The ZX-10R SE is the big K’s supertuned supersport special edition, which can be yours for just under £20k. it includes such must-have features as semi-active electronic damping, which sounds amazing, and a bi-directional quickshifter, which is presumably really great too. For chopper fans Kawasaki also offer the Vulcan cruiser. If that’s not enough custom styles on your bike then there’s the Vulcan S Café, a chopper themed… café racer? That’s also a tourer? Sure, why not. I know what you’re asking, do Honda have a modern bike paying tribute to the heritage of the café racer but using the latest technology? And the answer is, of course yes. It’s the CB1000R and it basically means that it’s a sports bikes without the pointy fairing up front to make it look a bit old school. The CB1100 EX hits more of the early 70s look, if you want to go that way. There’s also a decent secondhand option if you’re willing to go that route. You can find either the VTX1300 or VTX1800 for well under £10k second hand, which is a pretty fantastic bargain for this riff on the classic Harley. Plus, it’s one of the kinds of bikes that people bought and then hardly ever used so you’re very likely to find a half decent one. Have we missed out your favourite CusFac? Does the term CusFac fill you with glee, or a blinding rage? Sound off in the comments!